From time to time I find in different places on the internet, posts or articles about design and the condition of the designer, how the designers are viewed and treated, and how that influences a business and its brand image. This reality, reflected in the above definition, is actually creating the issue these posts or articles are bringing up: what is the role of the designer in an organization, how designers are viewed and treated and how all this influences the company’s brand image. Early this year, I met at an industry event a professional working for an IT company as a marketer. He told me that he designed the latest phone his company just released. Knowing that marketing deals with creating customer interest in products or services, like advertising, and creates strategies that underlay sales techniques, business communication, and business development, I asked how exactly he designed the phone. His answer was “I had a guy who did the drawings for me”. Now everything was clear. The “guy who did the drawings” was a designer, probably working in a design department, and he was the person who actually designed the phone. The person I was talking to was the marketer who just participated with market info and eventually feedback. The truth is, there are still many businesses around where the designer is viewed just as a guy who does nice drawings, like art, and not more. Peter L. Phillips describes this situation very well in his book Creating the Perfect Design Brief – How to Manage Design for Strategic Advantage: “Unfortunately, most businesses don’t regard design as an innovative, or even a strategic business process. Rather they think of it as a decorative service”. And that’s how the marketing professional took ownership of the phone design. He considered himself as the designer and viewed the real designer just a sketch boy who threw some drawings on paper following his input. Which is sad, the designer probably spent more on his education (design schools are really expensive these days) and spent more white nights working on his school assignments than the marketer did. Again from Peter Phillips’ book: “Too often, nondesigners in a business setting think about design as a decorative art service: ‘Here’s my creative idea, please make it look good.’ Designers who are perceived as artists are not considered strategic, business-savvy partners, but rather as clever people who draw well”. Fortunately there are places, too few though, giving design its deserved credit. The best example is Apple. Apple recognized the value of design as a problem-solving discipline and considers design a core, strategic business competency. The results are very well known, Apple is a benchmark in design and has one of the best brand images among any companies. Then, how do we change the minds of business people about design being a core, strategic business competency? How do we communicate that the role design has in a business has an important mark on its image? Design should not treat engineering, marketing and sales as enemies who try to derail its proposals but as the best friends who would help them achieve its vision. All this will be realized through communication and negotiations, almost endless negotiations. And the communication and negotiations will be effective only if designers will understand business strategy and objectives. If Apple is one of the best examples for good design integration in the business, at the other extreme we could put the ex-Big Three. In the mid ‘70s, design lost all its power and designers became just “clever artists”. The consequences are well known and show how much damage the Detroit brands suffered when design is not viewed as a core, strategic competency. In the mid ‘80s GM produced the Cadillac Cimarron and later in 2001 the Pontiac Aztek, two models among many others, conceived and developed by nondesigners and where the designers were just “taxi drivers”. GM, after Bob Lutz joined the company and revitalized design, showed again this department’s potential. 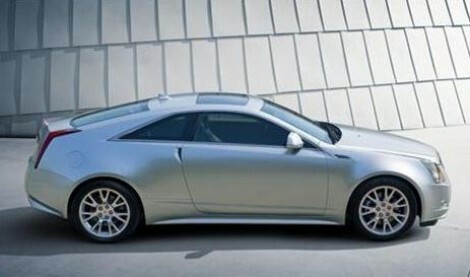 The CTS Coupe, the latest model coming out from Cadillac, was conceived and developed by design. An other good example would be Nissan, before and after the creation of the alliance with Renault. Design managers should not limit their work to just executing design projects, they should also aim for changing the perception of the design function as a whole in any enterprise. Currently, design is not highly appreciated by non designers, being such a misunderstood discipline. It’s the designers’ task to arm themselves with business knowledge and learn the language of business communication. Design’s value and role have to be communicated to the company through business language and not design language. The good news is that design, in the last decade, made real progress in this area and some automotive companies elevated its position to the deserved level, and all this through the hard work of some accomplished designers, very knowledgeable in both design and business. I would like to hear your opinions and experiences on this subject. Please share your achievements and successes and also the misfortunes which, I’m sure, made you professionally stronger later. Great article! Well written, I’ll publish a part on my Blog. Thank you Luciano. I believe this post is a good answer to the questions you get about how to prepare for a car design job and also what to do once you hold this position. Very well said! I have worked in the aviation business since graduating Art Center. 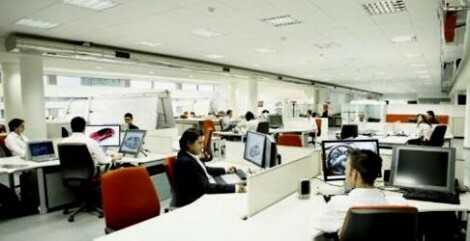 My first job was at Teague, an example where design is considered a core, strategic business competency. Working there with Boeing as my customer was a wonderful experience. 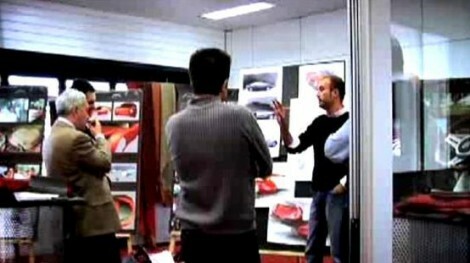 There was constant teamwork with every discipline through out the products development. My second job was at a private aircraft completion center, and was a terrible place to be a designer. The “manager” had no authority, no direction and no opinion. Every design critique ended with, “it’s subjective, who knows what the customer will think, but the sales guy will tell us what to do if they do not like it.” It was very, very frustrating and needless to say I did not last there long. While interviewing for the position, the owners said they were both designers, so it was a design company first and a completion company second. Once on board I learned that they were just self proclaimed designers. They knew very little about design, and treated the design department like sketch monkeys. The department was used to do their bidding and the bidding of the salesman. The majority of the design department was happy to come in, do what they were told, have no opinion on direction, collect a paycheck and go home. Most of them had never experienced working at a company where “design” had meaning. I felt like a raving lunatic who knew of a world where we were respected, and our opinions meant something. I think they saw me like that as well, that this magical design land did not exist, and this is just really what designers do. I was happy to be out of that place, but am eager to re-enter that real world of design again in the near future. Until then I have taken up doing freelance work and teaching at a local high school, but that is a whole article in and of itself. As an “engineering designer” and a researcher in design for some 20 yrs now, I think you’re spot on with this article. There’s a great deal of interest in some professional societies on figuring out how to get the meaning and power of design into business and industry. It’ll be a long, tough road, but posts like yours are helping. There’s a great deal of literature grappling with this very issue, but most of it is academic, or limited to design groups – preaching to the converted. We need more people to make the time to communicate to a broader audience about the meaning of design and what it’s role should be. Thank you for exposing these truths so articulately. Much of the auto industry ( I worked at General Motors Design Staff for many years ) is so mature that roles are clearly defined and limited. Designers are not typically encouraged to think with a “wholeistic” view. The one point that I would like to add is this. If we designers want to be heard, we must learn to speak in the language of the other “tribes”. We must speak about our contribution to function and reliability to the Engineers. We must speak about cost, ease of assembly and minimal parts count to Manufacturing. We must speak about user appeal, satisfaction, competitive positioning to Marketing. We must speak about return on investment and time to market with Management. Not only must we speak about these things, but our designs must advance and honor all of those areas. When we learn to speak the languages of the other “tribes” we will be heard and respected. Great Article. As an architect, I could really relate to this. I was working for one company where the owner could not even design or hand sketch. During some meetings, he would wait for me to complete my design sketches and take them into the meeting ASAP upon my completion. He would then say” Look at my design”. I asked him about that comment one day and he said technically he owns the drawings since I worked for him. He still takes alot of pride even though he did not have much input in the design. I think this article just scratches the surface regarding the evolution of the designer and the culture we have defined for ourselves. My design background is as an art director/creative director for both ad agencies and in house marketing departments. The culture you describe is often a result of the survival instincts present in modern day work environments. I can remember, on more than one occasion, presenting design ideas that had solid strategic marketing thinking behind them and still being dismissed as the ‘wacky” creative guy. In the ad agency environment especially, the “creative” art director type is expected and too many art directors play into that stereotype. They forget that what they are hired to do is sell a product or service based on both art and science. The sad truth is, although some art directors and designers rely on solid strategic sense before laying pencil to paper, (or finger-to mouse-to screen), the creative director, the account executives, the chairman of the board, and the client wants it their way. To survive, especially in today’s uncertain job market, designer’s bury their passion and “make it pretty” in order to keep the paychecks coming. I too have fallen victim to this scenario. As a result of this environmental pressure, I for one have witnessed a decline in the quality of the work in the advertising business, much like what has been mentioned in this article about the auto industry. The question is, how do we allow young designer’s to be passionate without consequence? Super writing. You have gained a new fan. Please maintain the fabulous posts and I look forward to more of your newsworthy updates. You are currently reading The state of design  at car_brand_image.